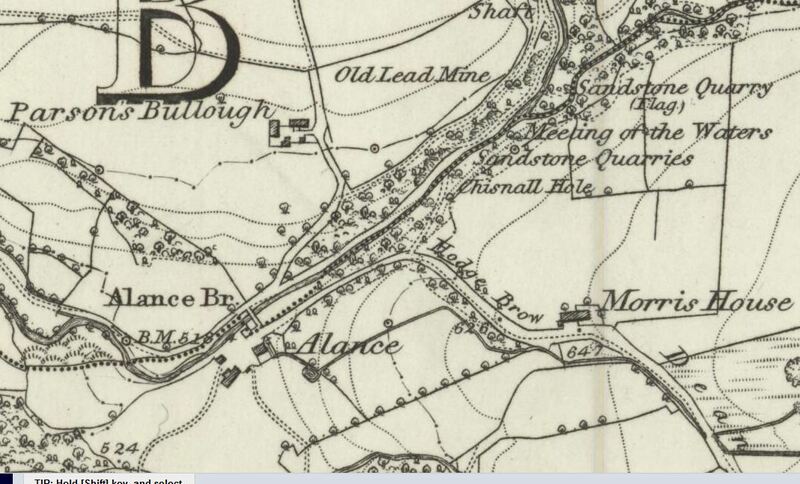 Parson’s Bullough ruins are near Lead Mines Clough, and are on the track that once led to the abandoned hamlet of Alance, now beneath the waters of Yarrow Reservoir. Parson’s Bullough hides a gory tale. The name was taken from “Bula”, a surname, and “haugh”, meaning ‘flat land near a river’. Many of the farmers around here were Flemish, as they had fled from the 1572 massacre of St. Bartholomew’s Day. These farmers were renowned for their toughness and were prepared to earn a living in places where others refused. The reasoning is that they were industrious and able to turn their hand to more than just sheep-rearing. 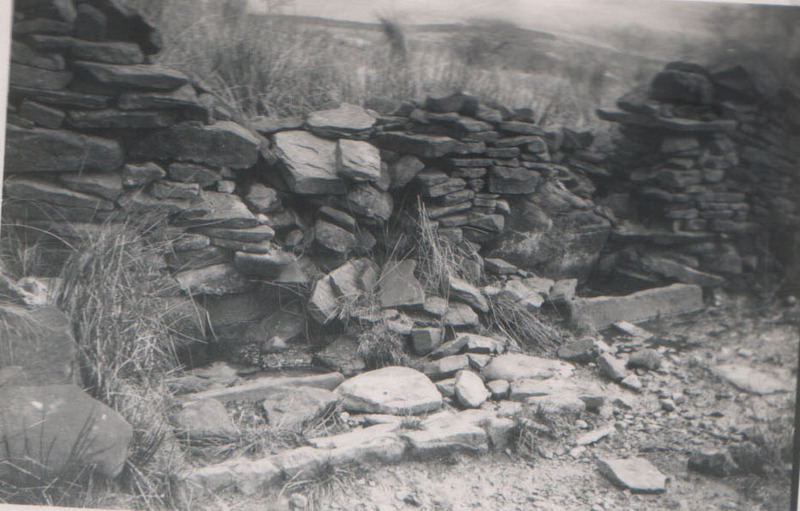 It is even reckoned that they brought handloom weaving to these moors. This photo is from an old book by Phoebe Hesketh. Another photo of Parsons Bullough – very different to the last one though…? 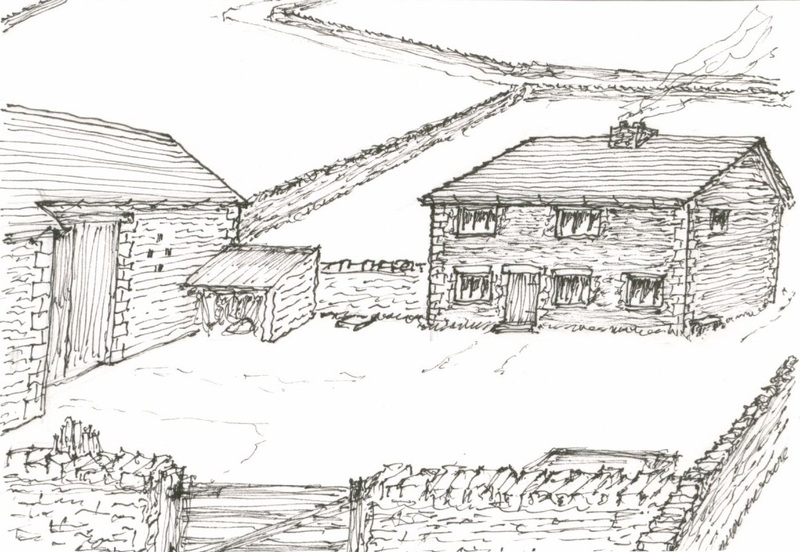 David Owen’s sketch matches the Google Earth aerial view. The house is on the North face of the square. 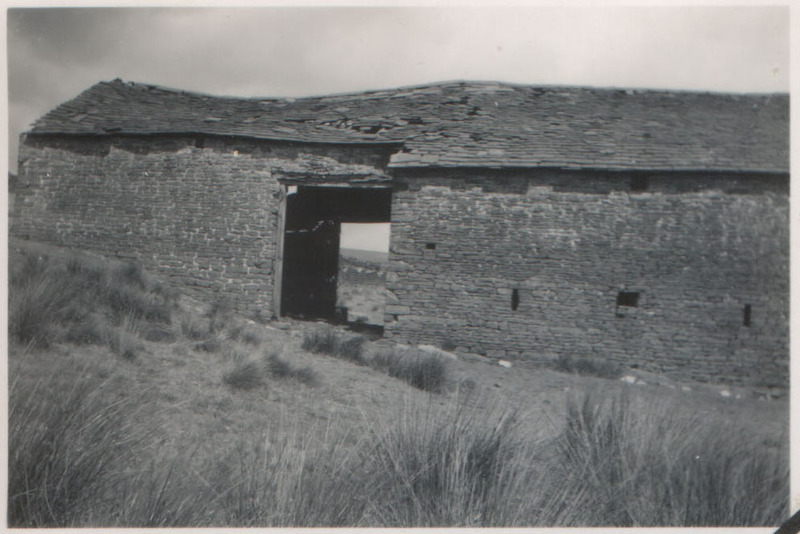 The above photograph shows the barn, and this shot must have been taken prior to 1957. 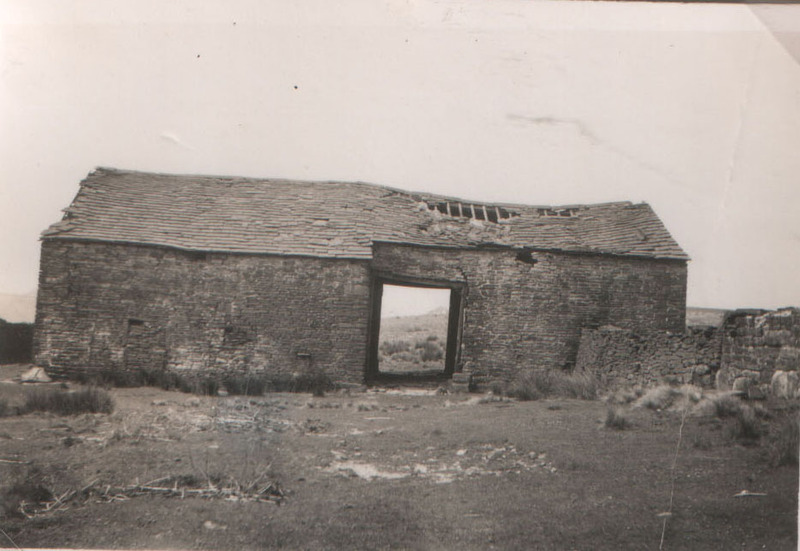 This is because In 1957, there was a huge gale, and the roof of this barn was terribly damaged. A rear view of the same barn. Note the photo album clips in the corner of the image! 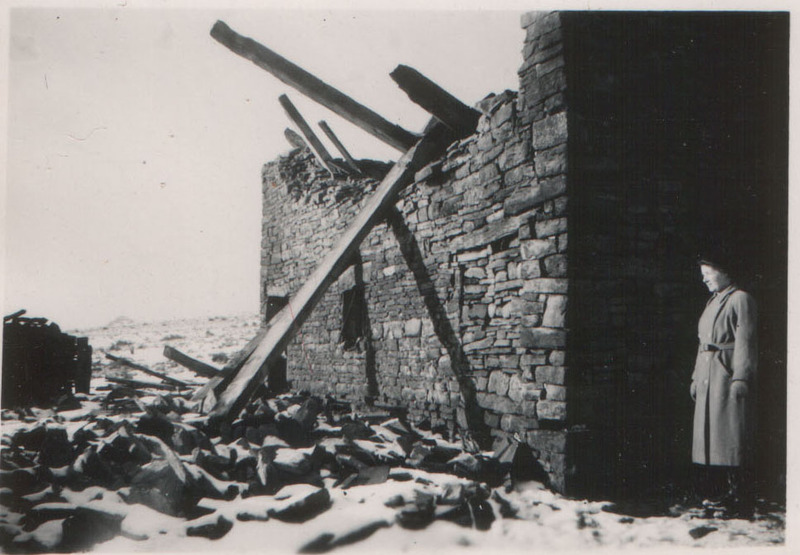 The above photo shows the damage incurred in 1957, as does the image below. Census records reveal that in the 1800’s there were 70 acres of land associated with the farmer, John Halliwell. With his wife, Jane, they had seven children here – Betty, Ann, Samuel, Ann, Jane jr., Margaret and John jr.
Parson’s Bullough – with a different Alance Bridge. The farm was passed down to one of the sons, Samuel. What follows next is a rather gruesome tale. Samuel became a widower, and he committed suicide here in September 1910. He was 71 years old. He had been suffering from asthma and insomnia. His sons, Samuel Jr. and John saw a shaving mirror on a wall in the farmyard, and they found their father bleeding to death with his throat cut. A razor was on a trestle nearby. The above section is taken from the England & Wales National Probate Calendar (Index of Wills and Administrations), 1858-1966. The families were generally much larger at this time. 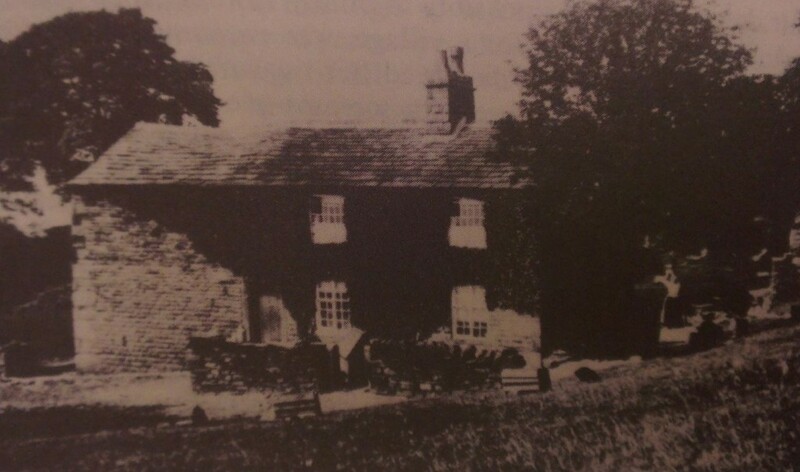 The farm fell into disrepair along with the other dwellings of the moors when the Liverpool Corporation took ownership of the whole area. Current aerial photography makes for an interesting comparison with old mapping. 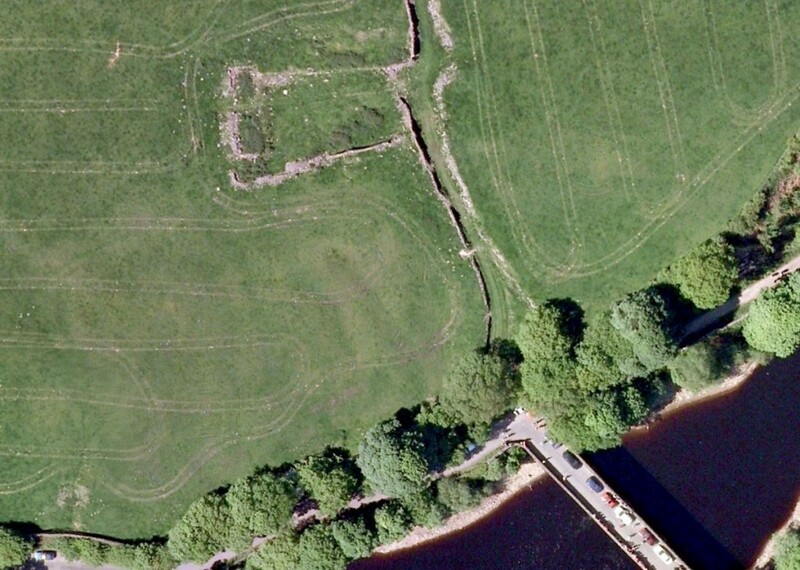 From the aerial image above, I am trying to ascertain whether the main farmhouse was the building to the top left of the ruins. 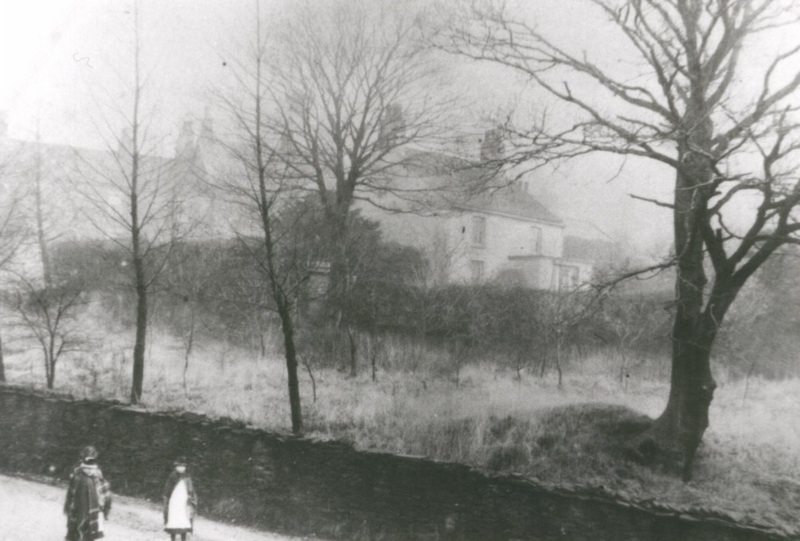 Comparing this with the old mapping, and the old photograph, it could well be the case, as the hill appears to rise left to right on the photograph. 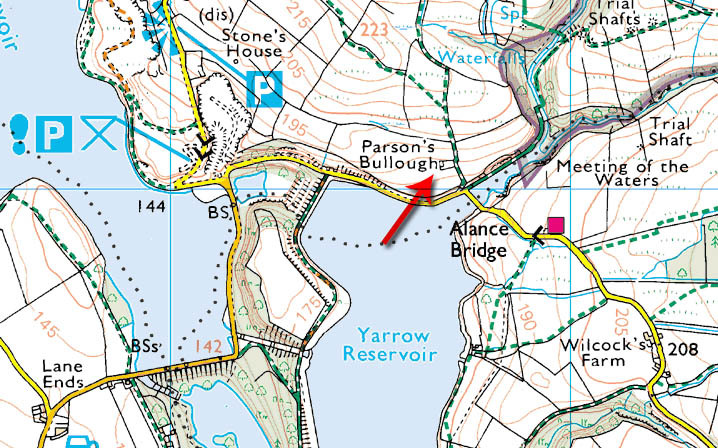 The old track that led to the ruin is still present, and is now a farmer’s track, accessed by a five-barred gate near the new Alance Bridge. 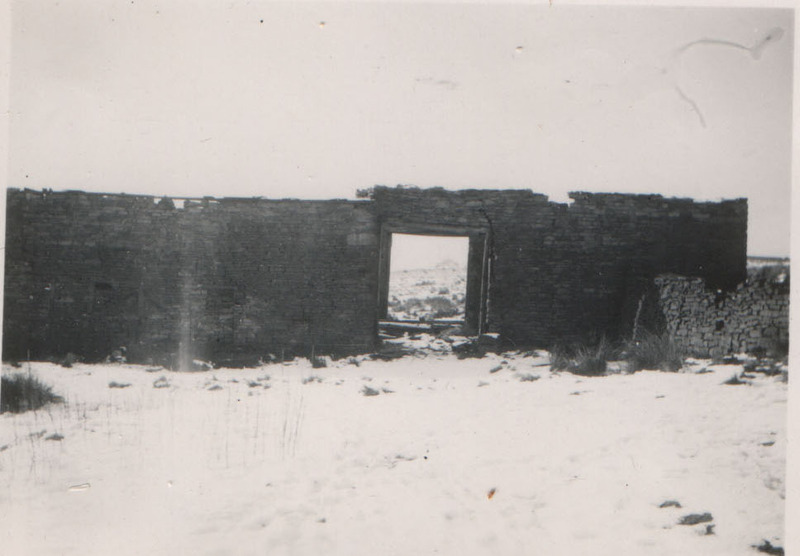 It was reported in the 1930’s that the house was demolished as we are already aware. The barn, however, was said to be still in a good state of preservation and in use. 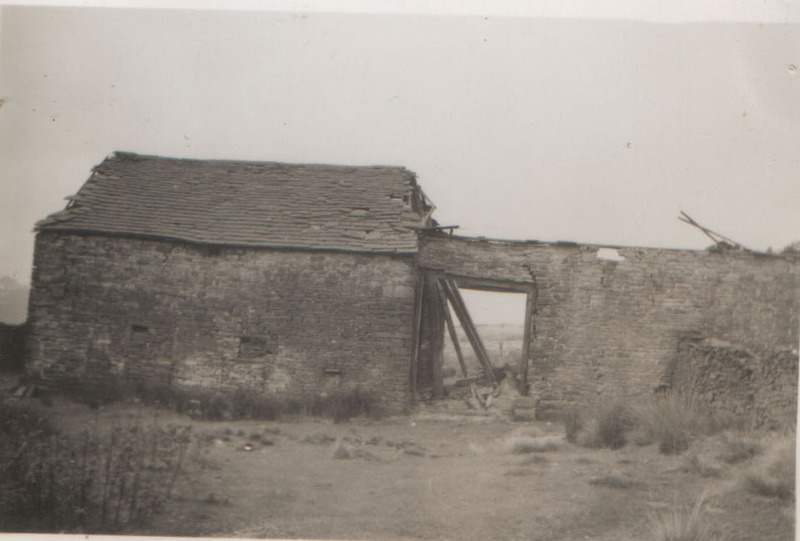 The barn has now gone to ruin, too, although there is an old stone hut which could be original. Farming continues to this day, and sheep share their space with curlew and lapwings.